Henshaw, John L., head-of-household, age 23, born in Virginia; parents born in Virginia; rented home; occupation: motorman, street car. Henshaw, Gertrude, wife, age 20, born in Virginia; parents born in Virginia. Henshaw, Calvin [unclear], son, age 4 months, born in Virginia; parents born in Virginia. Henshaw, Mary Lou, sister, age 18, born in Virginia; parents born in Virginia; occupation: laborer, silk mill. Henshaw, John L., head-of-household, age 32, born in Virginia; parents born in North Carolina; first married at age 18; rented home ($15 rent); no radio in home; occupation: motorman [unclear], street car. 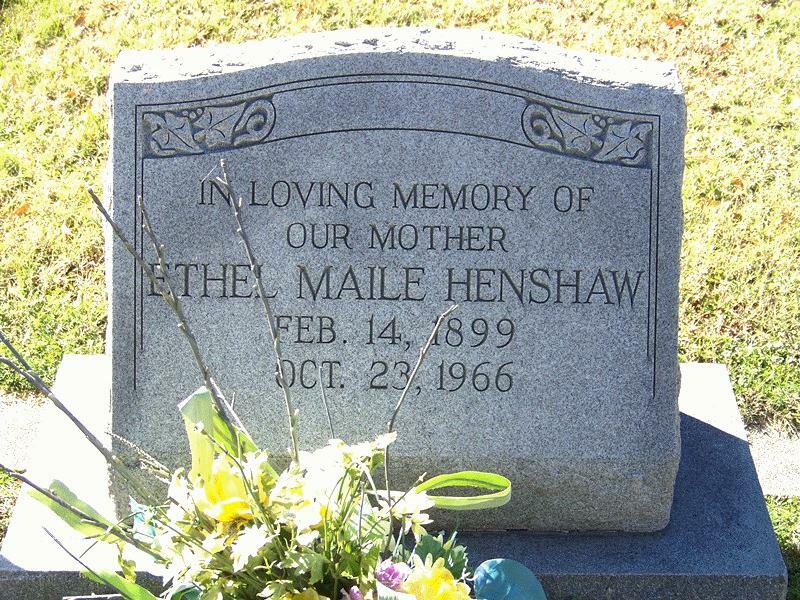 Henshaw, Ethel G., wife, age 30, born in Virginia; parents born in Virginia; first married at age 17. Henshaw, Calvin L., son, age 10, born in Virginia; parents born in Virginia; attended school. Henshaw, Dorothy M., daughter, age 8 years 2 months, born in Virginia; parents born in Virginia; attended school. 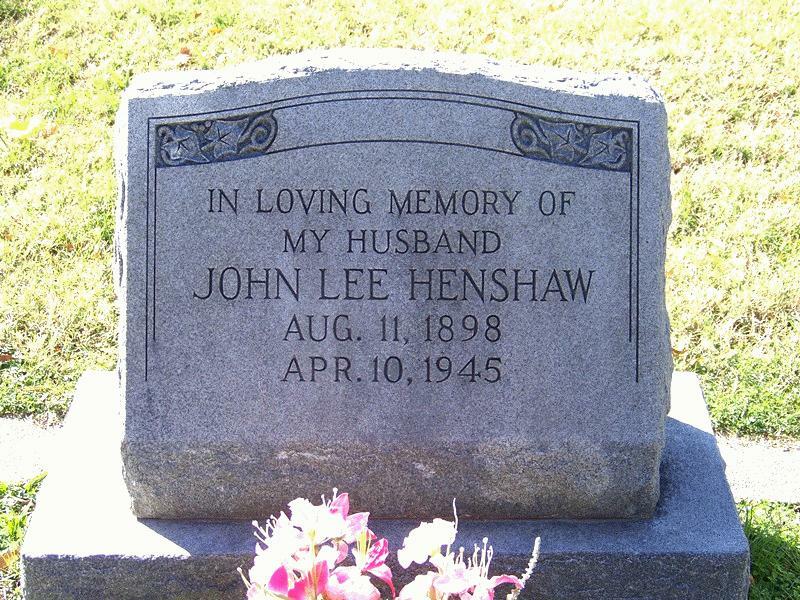 Henshaw, John L. Jr., son, age 6 years 4 months, born in Virginia; parents born in Virginia; attended school. Henshaw, Glenn H. [unclear], son, age 4 years 2 months, born in Virginia; parents born in Virginia. Henshaw, Deliela E. [unclear], daughter, age 1 year 2 months, born in Virginia; parents born in Virginia. Henshaw, John L., head-of-household, age 40, born in Virginia; completed 7th grade; on Apr 1 1935 was living in the same place/area; owned home ($2000 value); occupation: bus driver, [..unclear..]; worked 52 weeks in 1939; $1490 wages in 1939. Henshaw, Ethel G., wife, age 39, born in Virginia; completed 1 year of high school; on Apr 1 1935 was living in the same place/area. Henshaw, Calvin L., son, age 19, born in Virginia; completed 4 years of high school; on Apr 1 1935 was living in the same place/area; occupation: salesman, dry goods store; worked 26 weeks in 1939; $312 wages in 1939, plus other income. Henshaw, Dorothy M., daughter, age 18, born in Virginia; completed 1 year of high school; on Apr 1 1935 was living in the same place/area. Henshaw, John L. Jr, son, age 16, born in Virginia; completed 7th grade; on Apr 1 1935 was living in the same place/area. Henshaw, Glenn H., son, age 12, born in Virginia; completed 4th grade; on Apr 1 1935 was living in the same place/area; attended school. Henshaw, Daniel E., daughter, age 11, born in Virginia; completed 3rd grade; on Apr 1 1935 was living in the same place/area; attended school. Henshaw, Robert C., son, age 9, born in Virginia; completed 2nd grade; on Apr 1 1935 was living in the same place/area; attended school. Henshaw, Franklin D., son, age 6, born in Virginia; on Apr 1 1935 was living in the same place/area. Henshaw, Elenior G., daughter, age 1, born in Virginia. John Lee Henshaw, 46, died last night at 10:50 o'clock at his home, DuPuy Road, Dinwiddie County, near the city limits, following a long illness. Mr. Henshaw was a son of John R. Henshaw and the late Ida L. Bowler Henshaw. He was a native of Chesterfield County but for many years had resided in and near this city and was connected with the Virginia Electric & Power Company. He is survived by his wife, Mrs. Ethel Gertrude Henshaw, and the following children: Calvin L. Henshaw, of the Army, in France; Mrs. Dorothy May McCullough and John L. Henshaw, Jr. of this city; Glenn Howard Henshaw, of the Navy in foreign service; Miss Elizabeth D. Henshaw, Robert Clarence Henshaw, Franklin Delano Henshaw and Eleanor Gertrude Henshaw, of this city; father, John R. Henshaw, of Dinwiddie County and the following brothers and sisters; Mrs. Olive Edna Dunnavant, of this city; Mrs. Mary Lou Webster of Colonial Heights; George Henshaw, of this city; Mark L. Henshaw, of this city; Mrs. Alice Foster, of New York; Harry Ryland Henshaw and William Thomas Henshaw of this city. Funeral arrangements have not been completed but the services will probably be held Friday afternoon. PETERSBURG -- Funeral Services for Mrs. Ethel Gertrude Henshaw widow of John L. Henshaw, Sr. of Dupuy Road, whose death occurred Sunday, will be conducted today at 3:00 p.m. in West End Baptist Church with the pastor, the Rev. Ealle R. Phillips, officiating. The following will serve as pallbearers: honorary - Henry Whitley, Roy Wynn, Edward J. Harvanek, John Myrick, Raymond Spain, James Deadmon, and Clifford Perkinson: active - Frances Fenderson, Henry F. Smith, Morris Butler, Herbert Wilkinson, Jimmie Simmons, and Robert Morris. Burial will be in Blandford Cemetery. 1920 census, Petersburg, Virginia; roll T625-1903, ED 83, page 6B, line #67, dwelling #135, family #152.
gravestone, Blandford Cemetery, Petersburg, Virginia. Petersburg (Virginia) Courthouse Index to Marriages, 1916; Book 3 page 80. Contribution from Amanda Burns (). 1900 census, Namozine District, Dinwiddie County, Virginia; roll T623-1706, ED 21, page 13A, line #16, dwelling #211, family #213. Obituary of John Lee Henshaw, Sr.; Petersburg Progress-Index, Apr 11 1945. Funeral notice for Ethel Gertrude Henshaw; Petersburg Progress-Index, Oct 25 1966.